WILLEMSTAD - It is not a secret that the Curaçao’s aviation sector was downgraded to category 2 by the Federal Aviation Administration (FAA). Since 2012 efforts have been made in order to upgrade the administration of CCAA but this has not yet been successful. After the former Director Fransisco, the CCAA has assigned several directors but they were all unable to get things back on track. Vilmo Peter took over for a short period of time, followed by the Jamaican citizen Oscar Derby. Derby functioned as director for about 4 years but with no luck. Last year Derby’s contract was terminated. Bryce Fischer from Canada joined the team as Director Operations, Safety and Security and after about one year he left as well. The new Minister of Transportation, Zita Jesus-Leito, as part of her first priority to get Curaçao back to category 1, has taken some organizational decisions. With the appointment of the Dutch aviation professional Hans de Jong, there is new hope. 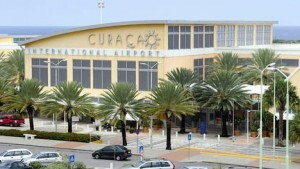 De Jong has good contacts with Dutch Aviation Authorities and everything seems to be that Curaçao will start working closer with the Netherlands. There will also be some important changes in the organization. Due to lack of knowledge, expertise and transparency, a lot of important tasks have been delayed in the last year. InselAir is struggling to get its MD80’s back in the air since February this year. There are also other airlines trying to get their certification but without leadership at the CCAA this is just impossible. We wish Mr. De Jong the best of luck.